“A first-rate piece of crime writing.”—The Washington Post Book World “A straightforward police story with a terrific plot, nuanced characters and solid procedures, served up on refreshing new turf.”—Marilyn Stasio, The New York Times Book Review “A police procedural of a very different kind. . . . A ‘down under’ atmosphere that most American readers will find unique.”—The Plain Dealer “Colorful. . . . Disher has literary talent and imagination.” —Chicago Tribune “Disher makes his characters as interesting as his plot.” —Portsmouth Herald “The American debut for Australian crime writer extraordinaire Disher is as complex and dark as anything by Ian Rankin or Michael Connelly.”—Las Vegas Mercury A serial killer is on the loose in a small coastal town near Melbourne. Detective Inspector Hal Challis and his team must apprehend him before he strikes again. But first, Challis has to contend with the editor of a local newspaper who undermines his investigation at every turn, and with his wife, who attempts to resurrect their marriage through long-distance phone calls from a sanitarium, where she has been imprisoned for the past eight years for attempted murder—his. 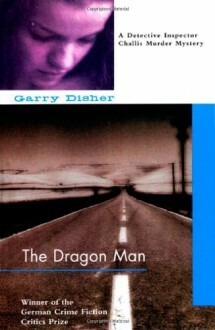 Garry Disher is the author of over 40 books for adults and children. His crime fiction includes numerous anthologized stories and the Wyatt novels, including Kickback, winner of the 2000 German Critics Prize for Crime Fiction. The first in his Detective Inspector Challis murder mystery series, The Dragon Man won the German Critics Prize for Crime Fiction in 2001. This book isn’t bad. The writing and mood are good. The characters are very uninteresting however. It’s been there and done that. I wish my local PBS would reshow Water Rats.